Thanks for checking out our Grass Puppy Certified Organic Coffee Blend. Created to not only be a great tasting coffee but also to showcase a different animal related non-profit every 3 months. Beginning February 1, 2019 we will be donating 20% of the sales price of every pound sold of this amazing blend to the currently featured charity/non-profit. A comforting blend of Central American coffees is complimented by the earthiness of our Specialty Grade Indonesian beans to create the blend we call Grass Puppy. Playful, Dark and Smooth best describes this blends characteristics. Below is more information about them and you can visit their website here. ​”The mission of the Kent Animal Shelter is to provide a no-kill haven for homeless, abused and abandoned animals until permanent homes can be found. Programs include Adoption, Rescue, Low Cost Spay/Neuter, Humane Education. 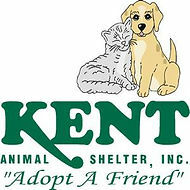 The Kent Animal Shelter will be presented with a check 1-2 weeks from the completion of this 3 month cycle, with the last day being April 30, 2019. To summarize; if supporting local, no-kill animal shelters is important to you make sure you get yourself some Grass Puppy Blend coffee by April 30th! The more you get, the more we give so tell a friend today!